John Marston, the man who started it all was born in Ludlow in 1836, of a minor landowning family, and was sent, aged 15, to Wolverhampton to be apprenticed to Edward Perry, a japanware manufacturer. At the age of 23 he left and set up his own japanning business, making any and every sort of domestic item, after purchasing Daniel Smith Lester's factory in Lester Street, Bilston. Perry died in 1869, and John did so well that in 1871, he took over his company and incorporated it into his own. He started making Sunbeam bicycles, with great success and on the suggestion of his wife Ellen, adopted the brand name "Sunbeam". 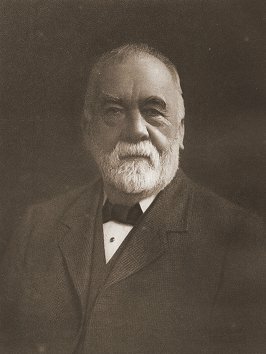 In the late 1890s his right-hand man, Thomas Cureton, persuaded him to consider building a car. They drew up a specification for an experimental vehicle and work began on the prototype in 1899. Within a few years the company were producing large numbers of high quality cars and went on to become one of Wolverhampton's largest employers. A 16/20hp. 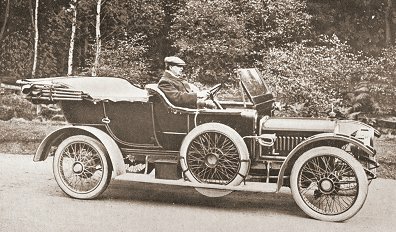 from 1910 with Thomas Cureton at the wheel. The History and Development of the Sunbeam Car: 1899-1924, The Sunbeam Motor Car Co. Ltd.
Twenty Years of Sunbeam Achievement in Peace and War, The Sunbeam Motor Car Co. Ltd. The Greatest Motoring Achievement Ever Recorded - 203m.p.h. The Sunbeam Motor Car Co. Ltd.
Powered Vehicles Made in the Black Country, Jim Boulton with Harold Parsons. Sunbeam “The Supreme Car” 1899 – 1935, Bruce Dowell. Sunbeam Racing Cars, Anthony S. Heal. Man of Wolverhampton, Marjorie von Harten and Melissa Marston.